Since 2016, Ben & Jerry’s has continually rolled out new plant-based offerings to eager consumers. Starting with four ice cream flavors, the brand now boasts 11 dairy-free pints, including its two newest additions: Chocolate Chip Cookie Dough and Chocolate Caramel Cluster. Like the company’s iconic ice cream pints, this new product can be found in the frozen section of participating retailers nationwide starting this April. Fans have been asking for “just the chunks” for a while now. During a short market test in Vermont last summer, fans snatched up the dough in record time. Bags flew off the shelves in mere days and stores could not keep the delicious dough bites in stock! Now, Ben & Jerry’s is rollin’ out the dough to fans across the US. As more people discover the animal cruelty and vast environmental destruction inherent in animal agriculture, they’re eating fewer animal products or ditching them altogether in favor of plant-based foods. These new vegan Ben & Jerry’s products are yet another sign. Ready to eat more plant-based foods? 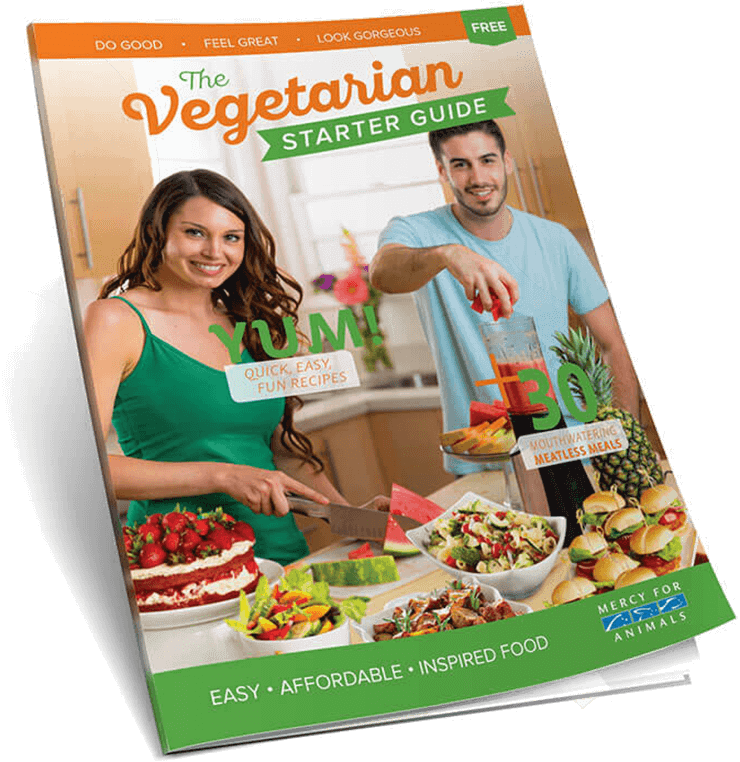 You can get delicious recipes, easy meal ideas, and tips by ordering a FREE Vegetarian Starter Guide today.